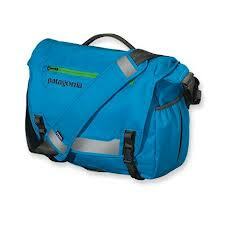 Looking for Patagonia Critical Mass Bag? 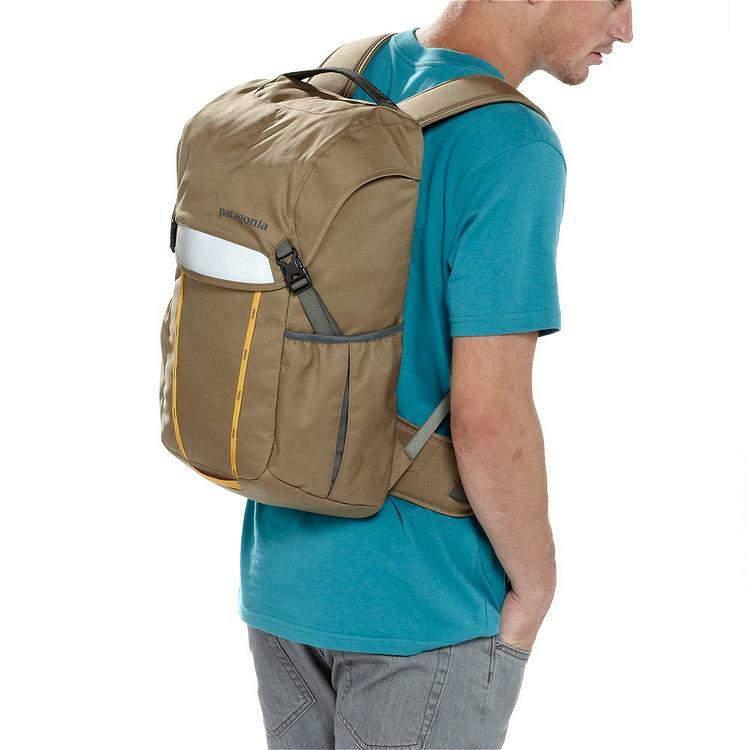 Like the Half Mass Messenger bag, it is made of 8.4-oz 600-denier 100% recycled polyester with a polyurethane coating and a DWR (durable water repellent) finish, the bag is eco-friendly and very water repellant. 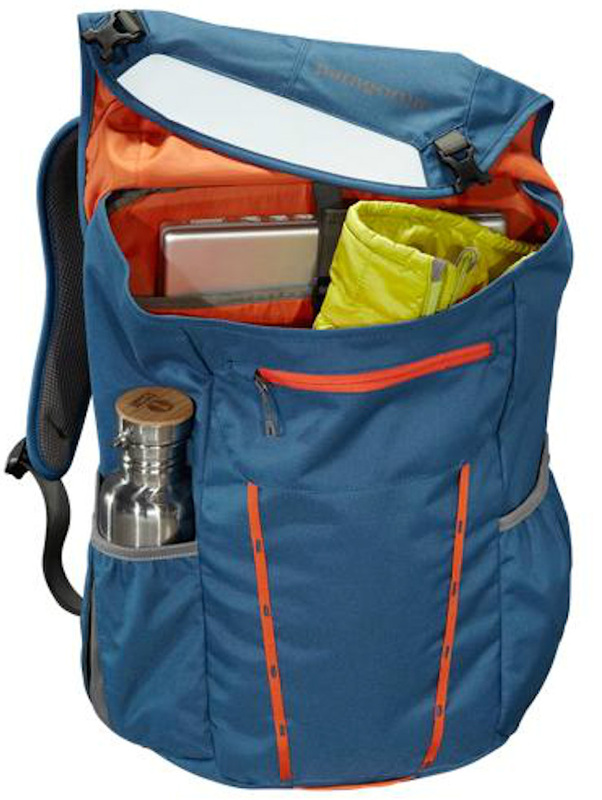 The bag is loaded with compartments and pockets that make it very easy to organize your gear. 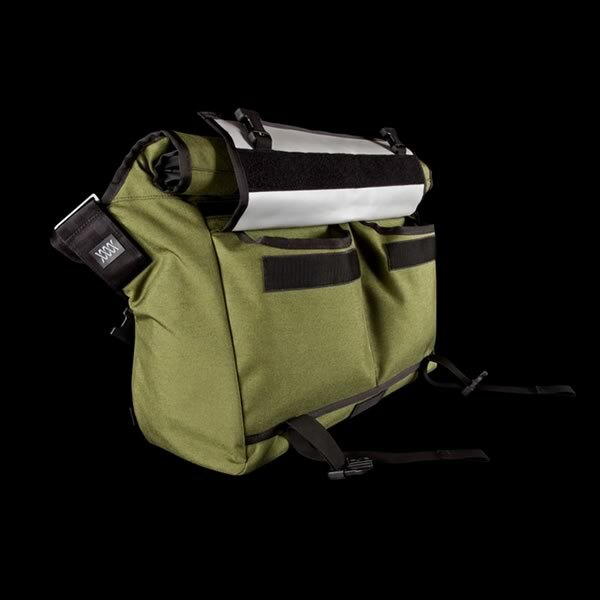 For compartments, it is one of the best messenger bags out there. 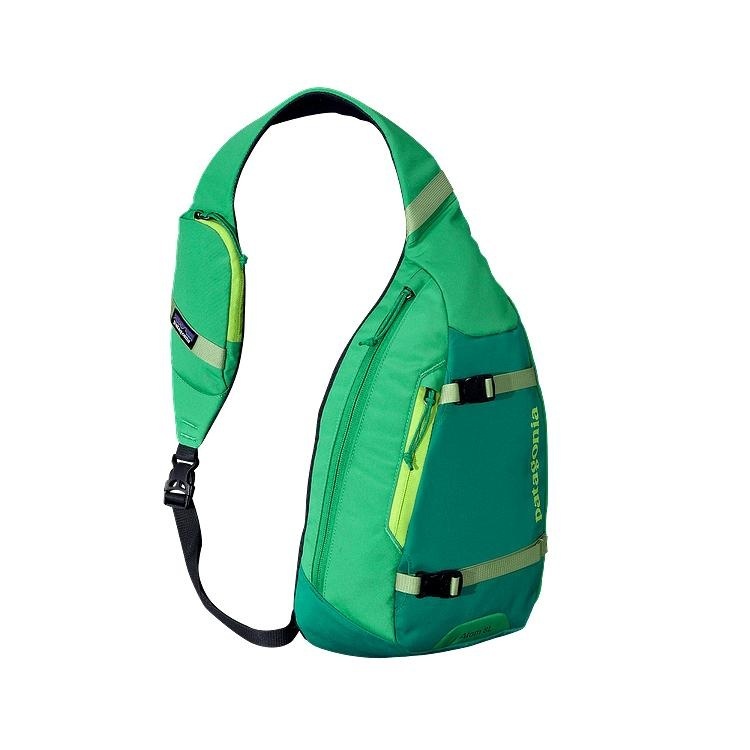 On the external part of the bag, there is a front padded sleeve, two mesh water bottle holder on each side that are elasticized so your bottle won’t fall out, even while riding. Internal pockets include; one mesh pocket to hold your keys, drop in slot for your wallet or gym pass, one front padded electronics pocket for thing like your phone. One thing I really love about this bag is how easy it is to organize everything in it. There is a large pocket in the front, padded sleeve out back, and several internal pockets. 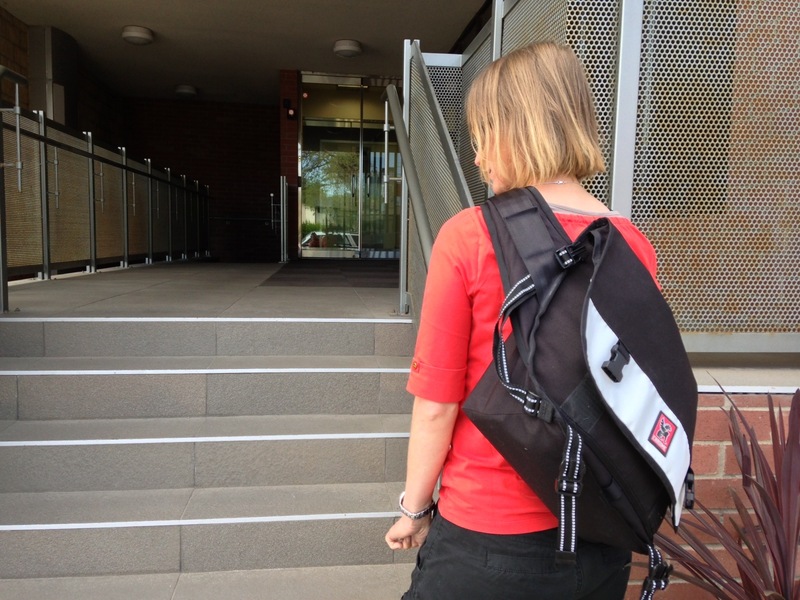 This bag can easily fit a 17″ laptop with room to spare. Note that the front flap has no velcro, so when make sure that you buckle it up when heading out. It does make it a little tedious, since other bags you can just close it and go if they have very sturdy velcro, but on the other hand it’s nice not to have it because it makes the bag more bulky. Comes in a variety of colours. Note the reflective straps on the front. Image from Patagonia. I can pretty much load this bag up with as much stuff as I can carry to the office and not run out of room. Great compartments for cords, business cards, wallet, pens/pencils, flash drives and all the other work essentials. Great for riding to work as the waist strap keeps it centred on your back, not to mention the front reflective panel keeps you safe and visible. It even has an attachment for a bike light. Do you need a big bag? If you are smaller, this bag may be overkill and you should look at the smaller Half Mass Bag instead or other medium size messenger bags. They are identical in every way other than size. The exterior 100% recycled polyester 600 denier, and the lining is 3.3-oz 200 denier polyester. Both are polyurethane coated. Patagonia states that they recycle used soda bottles, unusable second quality fabrics and worn out garments into polyester fibers to produce many of their clothes and bags! This bag comes in a wide variety of colours, and the inside and outside are complementing colours. 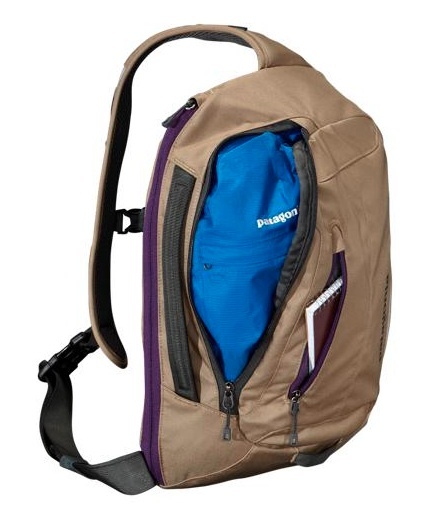 Love the inside compartments, great storage, and the outside stretchy mesh pockets for your water bottle or beverage. Love the fact that it’s made from recycled polyester. Very friendly overall commuter bag, with multiple carrying options. 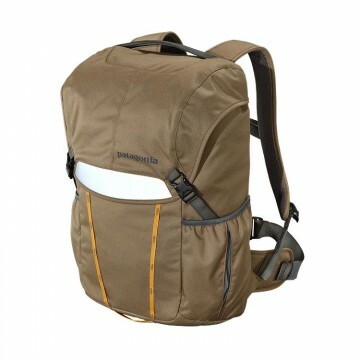 Looking for other messenger bags from Patagonia? Check out the full selection of Patagonia bags or look at other messenger bag brands. this is NOTHING like the half mass. the critical mass used to be the larger version of the half mass, but patagonia has decided to make the critical mass a backpack (still calling it a “messenger-style” bag) while keeping the half mass as a one-shoulder bag. Hey JMJ, thanks so much for pointing this out. You are absolutely right. The two shoulder backpack style straps are a big difference from the half mass which like you said is pure messenger bag style. We have updated our review to reflect patagonia’s recent design change of the critical mass bag.